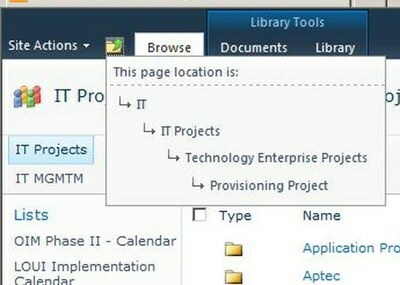 Are you having issues navigating your SharePoint 2010 site? When your deep in your site a folder shows up next to "Site Actions". This is breadcrumbs to help you navigate.